Since 1990, ECS has been providing high quality, dependable dictation/transcription solutions designed to address the needs of their customers. The latest release of Apptec DigiTel Dictation software/hardware enables ECS to provide their customers with the most economical dictation solution on the market. Now available from one to twenty telephone ports. Visit ECS for more information. Simply dial a phone number, enter a PIN and dictate! DigiTel is available 24 hours a day. With the ease of touch-tone control, start or pause dictation, listen to it, or send it off for immediate transcription. 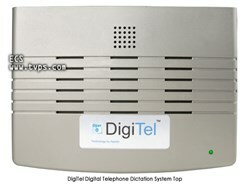 Access and operate DigiTel from any touch-tone phone including landlines, cell phones, VoIP phones, and dictate stations. Just install the DigiTel software and connect the DigiTel Pod to a pc's usb port and to an analog phone line(s). Users preferences can be set and system activity viewed. Friendly prompts help each user get their work done with ease. Authors enter their User-ID (PIN) and an optional Password to gain access to the system to ensure that only authorized users dictate into DigiTel. Each user's dictations are recorded directly onto a local pc so they're instantly available to your transcriptionist. Each dictation file is clearly identified with the Authors Name, Date and Time of Dictation, optional Work-Type Numbers and Reference Numbers that the author entered. The dictation files use standard wav or vox encoding, so a transcriptionist or secretary can use their favorite audio transcription software program to play the files. If you need an audio player, ask about our popular transcription solution DigiScribe which comes with a foot pedal and headset. Each user's dictations can be kept on the same pc that DigiTel is running on or sent automatically over your computer network or sent to one of Ftp Magic's 25 intake folders for transfer to up to 25 different FTP sites. Each user can listen to the system's prompts in the language of their choice. The prime focus for Executive Communication Systems (ECS) in Ventura, CA is customer satisfaction. Since 1990 ECS has been providing high quality, dependable dictation/transcription equipment and accessories with in-house service solutions designed to address the needs of our customers. Additionally, integrity isn't just a word for us, it describes how we live our lives and operate our business. Our staff will never sacrifice their integrity trying to over-sell or achieve sales quotas at your expense. We will discuss your needs with you and outline your options, large and small, quote you for every option you desire and let you decide what is best for you. We value each customer as individuals with specific needs and our goal is to provide a dictation/transcription solution that fits your needs so perfectly it keeps you coming back to us with confidence for years to come. Executive Communication Systems has carefully cultivated a seasoned sales, service and support team of factory trained, knowledgeable, courteous and considerate individuals, proud of the roles they play here at ECS servicing over 40,000 customers worldwide. ECS can meet your dictating and/or transcribing needs from a single transcription headset to robust WinScribe Network Dictation Systems. TRICENTIS, a global leader in automated software testing and software test management, announces that ANECON Software Design and Beratung GmbH has met all criteria to become a TOSCA Certified Implementation Partner. ANECON is one of the leading, medium-sized software and solution providers in Austria and offers IT software development, software testing, and project management for implementation of mission-critical IT projects. 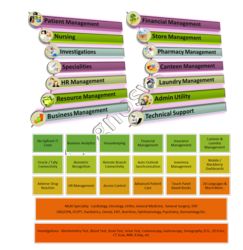 Services include project management, implementation, architecture and design, development, and testing. ANECON specializes in Agile Software Development and Testing. In order to use the TOSCA testing process and offer TOSCA products, ANECON successfully completed a three-month program culminating in the presentation of a case study which solved a complex software testing problem using TOSCA process and solutions. To ensure that ANECON was prepared to implement TOSCA Testsuite for software quality assurance, TOSCA experts critiqued the case study before awarding ANECON its status as a TOSCA Certified Implementation Partner (TCIP). Today, ANECON is well equipped to extend its IT consulting services and provide more effective test case design and software test automation services. ANECONs TCIP status highlights a partnership and knowledge transfer that will yield faster time-to-market and improved ROI for automated testing. The requirements for TOSCA certification are rigorous. TOSCA Certification Training is open only to business partners that already exhibit comprehensive expertise in professional software quality assurance. Becoming a TCIP signifies that the partner has gained high levels of test case design and test automation expertise. With test case design, ANECON customers can optimize their test cases with lower maintenance costs and better test coverage. With test automation of risk-based tests, ANECON customers achieve increased efficiency and save valuable time and effort. In fact, ANECON and TOSCA customers can now achieve up to 95% test automation coverage with 50% reduced maintenance effort. Gartner Analysts Gilbert van der Heiden and Patrick J. Sullivan emphasize the importance of thoroughly evaluating software testing providers: From a buyer's perspective, the demand for testing services continues to remain strong. An analysis of Gartner inquiries in 2011 indicates that software testing emerged as one of the topics consistently searched for at high levels on gartner.com throughout the year. () As with many emerging services categories, service providers vary in their level of maturity, growth and investment. () When evaluating providers, ensure that you give proper weightings to the level of maturity, automation and process standardization that the provider has achieved in testing services. Hans Schmit, CEO of ANECON, states: "Our employees are experts in agile software testing and quality assurance and our customers rely on this competence. We are delighted to intensify the cooperation between ANECON and TRICENTIS with the certification as TOSCA Certified Implementation Partner. Now we can offer more effective and precisely tailored services in the field of software testing to our customers. ANECON and TRICENTIS represent an ideal partnership of expert consulting services along with TOSCA Testsuite innovative test management and automation. The combined partnership and expert knowledge transfer means ANECON customers can realize a faster ROI and time-to-value. ANECON is well known for their expertise in IT Project Management and Development Processes. TOSCA Testsuite provides a best practices software testing solution that enables ANECON to provide GUI and Non-GUI software testing, Mobile/Smart Device and Cross-Browser Testing to offer their customers the perfect test data. We both focus on testing excellence and there is much synergy in working together, says Wolfgang Platz, Founder and CEO of TRICENTIS. Founded in 1998, ANECON Software Design und Beratung GmbH is one of the leading, medium-sized software companies and solution providers in Austria. In 2010 a subsidiary in Dresden, Germany was founded. With corporate headquarters in Dresden, ANECON develops innovative custom software solutions, is a market leader in software testing, and provides quality IT consulting and training, project management process, product development, and consulting expertise. ANECON customers represent such diverse industries as banking, insurance, telecommunications and government. Founded in 1998, ANECON has grown to 110 employees focused on communication, problem solving, and alignment with the customers goals and future plans. The result of the customer focus is sustainable, future-proof solutions that fit perfectly into the clients organization. Since 1997, TRICENTIS offers cross-industry expertise in all aspects of functional software testing and quality assurance. With TOSCA Testsuite, TRICENTIS has developed an innovative and technically superior solution for automated software testing and software test management. With TOSCA non-technical users can quickly create automated business test cases in plain English and configure them for multiple platforms. TOSCA offers smart device testing, GUI and Non-GUI software testing, certified integration for SAP software testing and much more. Over 300 customers worldwide rely on the expertise of our consultants and the performance of TOSCA Testsuite. TOSCA is ideal for industries with workflow business processes such as in Banking, Insurance, Financial Services, High Tech, Telecom, Manufacturing, Retail, Healthcare, Utilities, Public Sector and other leading industries requiring the highest quality of software testing. For more information or a free demo, trial or workshop, please visit us at http://www.gotosca.com. James Instruments Inc. the worldwide leading manufacturer of non-destructive test equipment for concrete and other construction materials and coarse grained materials, has certified the Windsor Probe Test System for European safety. Although the system has been used safely and effectively since the 1960s new regulations have caused minor revisions. These revisions have had no effect on the accuracy and reliability of the test system. The Windsor HP Probe system rapidly and accurately determines the concrete compressive strength of a structure by driving a probe into the concrete with a known amount of force. Improved and enhanced over thirty years, this modern system is capable of measuring concrete with a maximum compressive strength of 17,000 PSI (110MPA). It has been ruggedized for use in the construction environment, yet refined to provide the user with a simpler system to operate. An electronic measuring unit has been added to help ensure proper test results which can be recorded for later review or uploading to a personal computer. For the past five years, Certified Payment Processing (CPP) has conducted a fundraiser for the American Heart Association, known as the "Comfy Clothes Campaign." Those who participate are allowed to wear casual clothing not normally in the dress code policy, including shorts, t-shirts and sandals. The company, along with the two sales divisions, TransTech Merchant Group and Summit Merchant Solutions, usually sets aside the month of July and August for the fundraiser, but this year, it was extended to include all of September as well. Our staff anticipates this event, say Tony Norrie, Vice President and General Manager of CPP. They enjoy the relaxed dress code, especially in the Texas heat. And our company is honored to support the great work of the American Heart Association. We raised $ 37,353 this year, which is an increase of more than $ 13,000 from last year. CPP is a provider of credit card processing services and also leases point-of-sale terminals that quickly process all forms of payments: debit and credit card transactions, gift cards and checks. The products and services are designed to help businesses increase revenue, control costs, improve efficiency, enhance data security and provide their customers with the most popular payment methods. The company just released an all-in-one POS system that provides merchants with the ability to handle many of the financial aspects required to run a business efficiently. CPP has more than 300 employees in Carrollton, Texas, as well as hundreds of sales associates in the field throughout the country. Cardiovascular disease is the nations number one killer. The American Heart Association (AHA) invests more than $ 132 million a year ($ 3.2 billion since 1949) in heart and stroke research. Since 1924, AHA has been working to improve health in local communities. The Heart Association trains millions of Americans each year in CPR and first aid, and educates healthcare providers every day. Certified Payment Processing (CPP) is a full-service provider of electronic payment equipment for processing purchases made by debit and credit cards, as well as checks and online purchases, in addition to a range of other specialized merchant services. For nearly 20 years, CPP has helped small and medium-sized businesses increase revenue, control costs, improve efficiency, enhance processing security, and provide their customers with the most popular payment methods. With two sales entities -- TransTech Merchant Group and Summit Merchant Solutions -- CPP has more than 40,000 active merchants and transactions in excess of $ 3 billion. CPP has a support staff of 330 people to provide assistance to hundreds of field sales representatives across the country, and is headquartered just outside of Dallas, Texas. Those interested in learning more about career opportunities at CPP are encouraged to visit the career site. ShopRite is introducing Americas first durable yet compostable non-woven reusable shopping bag. The bag will be offered in selected ShopRite supermarkets in New Jersey, New York, Connecticut, Pennsylvania, Maryland and Delaware. For more than 30 years, ShopRite has been dedicated to preserving the environment and conserving natural resources and consistently works to procure green products to offer to its customers. ShopRite has a long history of innovation and we continue to look for new ways to 'green' our business practices, said Karen Meleta, ShopRite spokesperson. We are proud to be the first retailer in the United States to offer these alternative new bags to our customers. As part of its ongoing commitment to the environment, ShopRite stores promote the use and purchase of reusable shopping bags and offer a rebate to consumers using non-disposable bags. These incentives have encouraged shoppers to be more conscientious in the use and reuse of shopping bags. In 2011, more than 58 million bags were reused by ShopRite customers and in the last five years ShopRite customers have kept almost 200 million bags out of landfills. In its continuing efforts to offer new and innovative sustainable alternatives, ShopRite is working with Burbank, CA-based Earthwise Bag Company, Inc., the exclusive supplier of these biodegradable and compostable bags. This new 100% biodegradable and compostable non-woven shopping bag is manufactured from a combination of corn and tapioca fibers, using by-products from the food manufacturing process. This re-use of waste materials further reduces materials entering the waste stream. The bags are printed with water-based inks, sewn with cotton thread, contain no petroleum and are non-toxic and carry the ASTM 6400 certification, a national standard for biodegradability and compostability awarded by the U.S. Composting Council. They also carry a distinctive leaf embossing, which sets them apart from other bags in the marketplace. The new bags will serve customers for at least 100 uses and can be composted at a commercial composting facility, where they will biodegrade within 90 days. These bags are machine washable and durable as they have been tested to hold 50+ lbs. We continue to encourage our customers to move toward reusable bags whenever possible and we are making more products available to consumers that are green or more sustainable by design, and we are making sure these products are available as interest in them increases. For more information on where you can purchase your 100% biodegradable and compostable reusable shopping bag at a ShopRite near you, visit http://www.shoprite.com today. If you would like more information on purchasing the 100% biodegradable and compostable bags for your supermarket, prospective wholesale partners may contact Earthwise Bag Company, Inc. through their website at http://www.earthwisebags.com. ShopRite is the registered trademark of Wakefern Food Corp., a retailer-owned cooperative, based in Keasbey, NJ and the largest supermarket cooperative in the United States. With nearly 250 ShopRite supermarkets located throughout New Jersey, New York, Pennsylvania, Connecticut, Delaware and Maryland, ShopRite serves more than five million customers each week. A long-time supporter of key community efforts, ShopRite is dedicated to fighting hunger in the communities it serves. Through its ShopRite Partners in Caring program, ShopRite has donated more than $ 27 million to 1,700 worthy charities and food banks since the program began in 1999. As a title sponsor of the LPGAs ShopRite Classic, ShopRite has raised more than $ 24 million for local schools, hospitals and community groups. Progressive Grocer named ShopRite its 2011 Retailer of the Year and Supermarket News awarded ShopRite its 2011 Retail Excellence Award. For more information, please visit http://www.ShopRite.com. About Earthwise Bag Company, Inc.
Headquartered in Burbank, CA, Earthwise is the leading manufacturer of reusable bags in the U.S. They specialize in providing a full line of shopping bags, multi-use totes, insulated bags, wine totes and produce bags that combine functionality and aesthetics, offering a great reusable option at a very affordable price. They can also be fully customized, with a variety of colors to choose from and the option to display personal initials, graphics, messages, or a company logo. Earthwise is the brand of eco-friendly products that inspire responsibility and accountability because a fresh approach to feeling good about your planet should be simple, feel comfortable, and bring peace of mind. For more information, please visit http://www.earthwisebags.com. 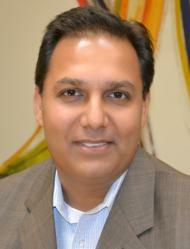 Certified Payment Processing (CPP) recently hired Pranay Shah as Vice President of Operations. In this role, he will be responsible for overseeing CPPs day-to-day operations, including strategic planning and execution to enhance profitability, meet production goals and maintain efficiency throughout the company. He will oversee several strategic areas, including the Telemarketing Center, Recruiting Center and Applications Processing. Shah comes to CPP with more than 18 years of experience in the Financial Services Industry. He was Vice President of Operations for Vantiv in Dallas. In that position, he had oversight of multi-site operations that included Customer Service, Collections, Outbound Servicing, Work Force Management as well as Training and Quality Assurance. He also spent 10+ years with Capital One, where he held progressive management positions in several diversified financial services sectors including Card Issuing and Auto Finance and managed all aspects of the Contact Center Operations from Inbound/Outbound Servicing, Collections, Retention and Business Process Outsourcing. Shah is currently working on his MBA in Leadership & Sustainability from the University of Cumbria, (United Kingdom). CPP is a provider of credit card processing services and also leases point-of-sale terminals that quickly process all forms of payments: debit and credit card transactions, gift cards and checks. The products and services are designed to help businesses increase revenue, control costs, improve efficiency, enhance data security and provide their customers with the most popular payment methods. Certified Payment Processing, L.P. (CPP) has been a leader in the industry for more than 20 years, and has hundreds of dedicated sales consultants in the field throughout the country, supported by 300+ office employees headquartered in Carrollton, Texas. With three direct sales divisions TransTech Merchant Group, Summit Merchant Solutions and ISIS Direct CPP has more than 40,000 active merchants and annual transaction volume in excess of $ 3 billion. Those interested in learning more about career opportunities at CPP are encouraged to visit the career site. Cognosys today announced the launch of the latest BI version of its Hospital Management Premier Suite, CogHMS, certified for Microsoft Azure and HP Convergence Infrastructure Cloud offering hospital chains and wellness center customers, innovative user interface features and reliability improvements. Developed by the IBM Certified Healthcare Software Sales Professionals team from Cognosys, this is specially designed to cater to the needs of all types of heath care units ranging from small clinics to multicenter / multi branch hospital chains, government hospitals in remote areas, blood banks and multi-specialty diagnostic centers. This new version of the HIMS can be used from just a browser and offers access not only from tablets and self-service kiosks but with inbuilt biometric recognition and EMR (Electronic Medical Records) facility is the first healthcare software solution offering such in-depth insight into each and every part of a hospital management right from the in-house pharmacy to Canteen, Laundry, blood bank, third party insurance providers, connectivity to in-house CRM and financial accounting. Focusing on business centric systems and modular approach and using Azure multi-tenancy and high availability, CogHMS delivers Cloud technologies to healthcare industry as a Ready To Use SAAS solution where obtaining a hospital management solution is as simple as registering and going live in five minutes. CogHMS cuts IT costs drastically and eliminates high maintenance costs providing an Access Anywhere System. Veronica Francis, President of Notchnet Web Services, is now a certified Local Internet Search Marketing Expert, bringing a higher level of Web marketing expertise to Notchnets clients. This spring, Francis participated in an interactive online Professional Local Search Training Course and completed a written exam to achieve the Local Search Marketing certification. Through the process, Veronica gained a thorough understanding of how to help local businesses improve their visibility on Internet search sites like Google and Bing, as well as online mapping systems like Google maps, especially when people are conducting online and mobile searches for businesses and services. With the growth of mobile phones and computer searches, many people do not use the phone book anymore, Francis said. it is so important now for local businesses to be listed online so potential customers can find them. Notchnet is now offering Local Internet Search Marketing services. The services include local search assessments to target which online directories businesses should be listed on to attract more customers, how to garner customer reviews to help improve Internet visibility, and methods for getting businesses listed with online directories. One example of a local business that has already benefited from the new service provided by Notchnet is a local restaurant without a website. Using the tools and skills from the certification course, Francis was able to develop a place page for the restaurant, listing its hours, menu, phone number and address online. She also boosted its placement on smartphones and online search directories. 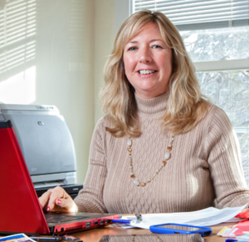 Francis started Notchnet in 1999 with her husband Charles as a website design and hosting business. The company has grown with the constant evolution of online technology and offers managed website and email hosting, web design, Search Engine Optimization (SEO), E-commerce solutions, and social media training and support from Blogs to Facebook. The company also now offers mobile marketing: designing pages to work with smartphones and tablets, orchestrating text messaging campaigns, and developing Quick Response Codes (QR Codes) for various uses. The Local Search Marketing Expert certification is the latest effort to keep up with the world of the web. Through this training and certification process, Ive honed the skills needed to help local businesses develop a plan to get them to the top of the search engines and mobile phone searches, Francis said. Notchnet serves over 200 clients, mainly in New England, but reaching as far as Florida and California. For more information about the services provided by Notchnet, please visit the office at 149 West Main Street, Littleton or online at http://www.notchnet.com. MobileDemand, the nations leading provider of Rugged Tablet PC systems in Transportation, announced today that the xTablet T7000 rugged tablet PC is now Gobi 3000 certified. Gobi allows the computer hardware to access the 3G global networks provided by various wireless carriers. MobileDemand users of xTablets equipped with Gobi 3000 will be able to take advantage of high speed mobile networks, embedded GPS capabilities and a Gobi application programming interface. All of this can be done at speeds up to 14.4 Mbps downlink and 5.76 Mbps uplink. Many of our customers have field operations that are mission-critical to their business. With the xTablet T7000 with Gobi 3000, they can extend enterprise applications beyond the four walls so that mobile workers can get the information they need to be more efficient and productive at the point of work, says Bob Zink, MobileDemand Vice-President of Sales and Marketing. In industries such as field service, transportation and public sector, its vital for employees in the field to have a wireless connection at all times. Whether its used by a manager, dispatcher or other field worker, Gobi 3000 is a go-to solution that puts an end to connectivity limitations. Now, real-time information such as asset tracking, route optimization and work order management can be enabled with the MobileDemand Rugged Tablet PC, the ultimate productivity tool. MobileDemand xTablets are built military rugged to withstand the rigors of real-world field applications. They are MIL-STD 810G compliant and have an Ingress (Sealing) Rating of up to IP65, which means they have been tested to survive pressured water, temperature extremes, rain, humidity, salt, sand, dust, shock, vibration and 26 consecutive drops up to 5 feet. xTablets are full Windows 7 PCs and are powered by Intel processors to provide all the performance needed to handle graphic and data intensive applications. They offer hot-swappable and high capacity batteries for all-day use and several input options such as pen-stylus, numeric keypad, on-screen or full QWERTY keyboard. They provide all-light readable displays, color cameras, and optional bar code and credit card scanners (on the xTablet T7000 and xTablet T8700). Optional cradles, mounts and accessories are also available. The MobileDemand xTablet T7000 Gobi 3000 has been certified on the T-Mobile and Verizon 3G Networks. MobileDemand customers with a rugged tablet PC with Gobi 3000 who currently use these networks can realize all of the advantages of staying connected. Employees, customers and partners can now work together from wherever they are and improve processes and customer experiences to achieve sustainable growth. 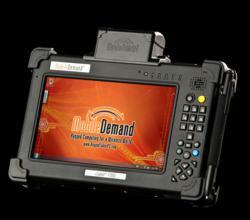 MobileDemand is the leading provider of Rugged Tablet PC systems used in transportation in the United States. MobileDemand is also a leading provider of rugged tablet computers used by mobile workers in Food and Beverage Distribution, Manufacturing, Retail, Hospitality, Field Service, Agriculture, Utilities, Military and Public Sector. xTablet rugged Tablet PC systems are ideal tools for improving operational efficiency and allowing mobile workers to make better business decisions at the point of interaction. They provide ultra-mobility and versatility and are built military rugged to withstand harsh environments. They offer a high resolution, all-light readable touch screen, functionality of a full Microsoft Windows 7 OS and the power of an Intel processor to deliver performance at a lower cost and enable greater efficiency and productivity in the field. Additional information about MobileDemand is available at http://www.RuggedTabletPC.com. Since 1994, a local Phoenix, AZ, wrap shop, 1st Impressions Truck Lettering and Vehicle Wraps has been performing quality wraps on cars and trucks in Phoenix and the surrounding metro area, but has now taken it to the next level to stay a step above their Phoenix competitors by becoming a 3M Certified vehicle wrap shop. 1st impressions Truck Lettering and Vehicle Wraps has long been known in Phoenix for their team of highly skilled and creative design experts and their quality installations, but now with the 3M certification, theyve confirmed their reputation. Vehicle wraps start with high resolution digital graphics printed on vinyl, with adhesives on them. This means that basically, vehicle wraps are very similar to a large decal covering the exterior of the vehicle. If performed correctly the vehicles wrap provides an extra layer of protection on the exterior and leaves the vehicles paint unharmed. If a low quality material is used, the design is poor or the wrap is installed incorrectly, a vehicle wrap can not only harm a vehicles paint but also look unattractive, not a good thing when representing a companys image. The 3M certification guaranties that the vehicle wrap will be installed by an expert technician with quality 3M materials. Based out of Maplewood, MN, 3M, is the leading innovators in multiple fields from; electronic circuit and optical film manufacturing, to abrasive and adhesive development. They are the premier manufacturer and suppliers to the vehicle wrap and vinyl lettering industry. 3Ms reputation is on the line and theyre taking a just a few vehicle graphic design and installation companies and testing them on all aspects of the 3M design, material and installation processes to become certified, in fact, 1st Impressions truck lettering and vehicle wraps in Phoenix is only one of two companies in the entire state of Arizona. Dan Deary, the CEO at 1st Impressions, states, The test sessions were very rigorous In order to weed out the lesser skilled teams. The final test session lasted an entire day. The 3M certification covers business practices as well as installation skills and knowledge. The testing not only included vehicle wraps, but also floor graphics and corrugated trailer sides as well as several other vinyl application areas which even included brick wall applications. An example of their brick wall work on their Phoenix vehicle wrap shop, along with some of their vehicle wraps, truck lettering and a variety of indoor and outdoor signs can be seen on 1st Impressions website at 1stimpressions.com. People really take notice of a wrap shop thats been 3M certified, Deary says, With the clout behind 3Ms certification; were already seeing an increase in sales to large national companies. The certification sets them apart from their competition and allows them to fulfill Dans goal of leading the Phoenix vehicle wrap industry. A quote from 3M states, To make a message stand out or brand a companys logo with a vehicle wrap, there are four important areas that must be included: a skilled graphic arts designer, the right graphics materials, quality graphics equipment and an expert vehicle wrap installer. Without just one of these areas, the wrap can reflect badly on the companys new advertising campaign, not to mention the companys logo the wrap shop is supposed to be branding and promoting. With the increasing number of cars and trucks on the road with low quality vehicle wraps in Phoenix, its nice to see a company like 1st Impressions Truck Lettering and vehicle wraps taking steps to insure the quality of their work to their customers.